Paul Lahaye hails from the Zuid-Limburg region of the Netherlands, where it meets Germany and Belgium - the crossing-point of three cultures, close to the heart of Europe. Photography, nature and passion. For Paul, it was clear from an early age that these three elements would form the leitmotif for his trips in the hills with his camera. He believes it's important a photo tells a story, one that renders the viewer 'lost for words'. For Paul, the saying 'a picture tells a thousand words' is no empty cliché! Paul has a well-established reputation as a landscape, mountaineering and nature photographer. 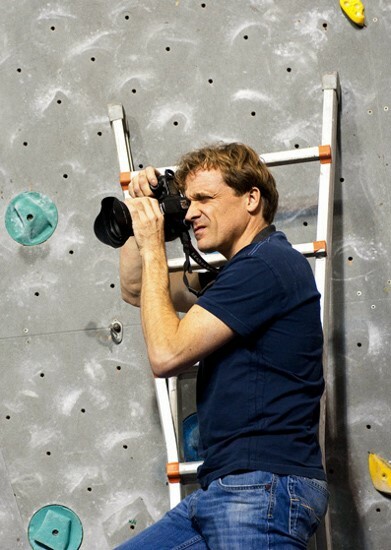 His photographs regularly appear in online publications, international magazines and guides for climbers and walkers. Paul also has a close involvement in the annual Dutch Mountain Film Festival in Heerlen, where he is curator for the DMFF photography exhibition, which invites three international photographers to put their works on display each year. As a professional photographer, Paul Lahaye works primarily in the following fields: photojournalism, commercial photography, architectural photography and studio work.